Once you have installed the software, you can click on the icon at the dashboard. 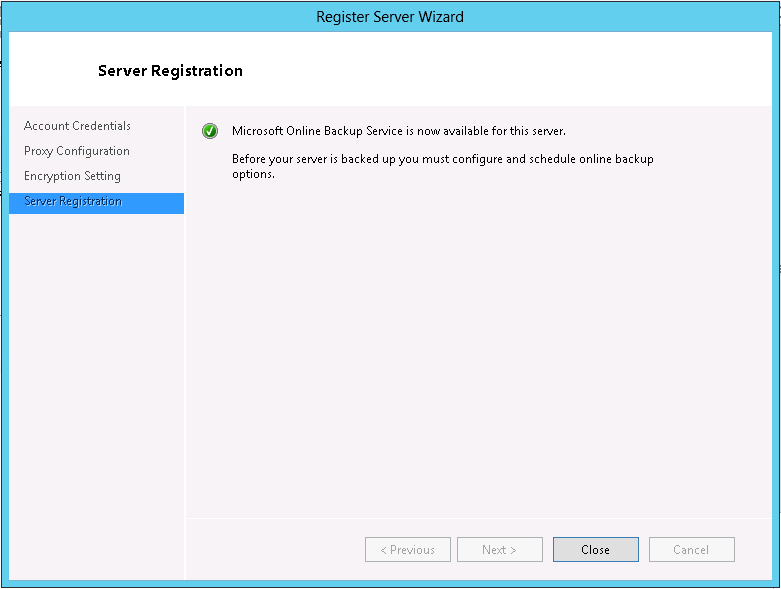 The first screen that you will see, is the below where by it trying to initializing the online backup service agent. The 2nd things is, since this is an agent base software, you need to register the server with the cloud provider. 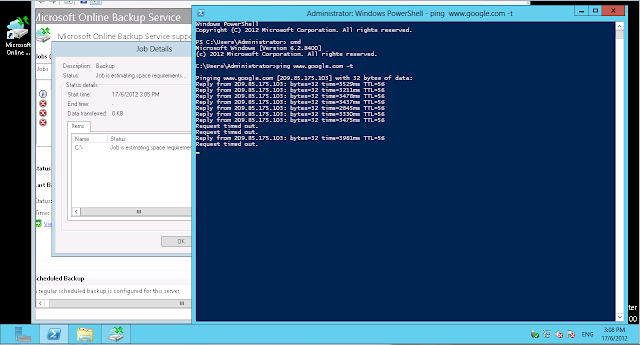 As for other software as well, you also need to register the server after you have install the agent. This is to ensure that the server can backup to the respective backup server. 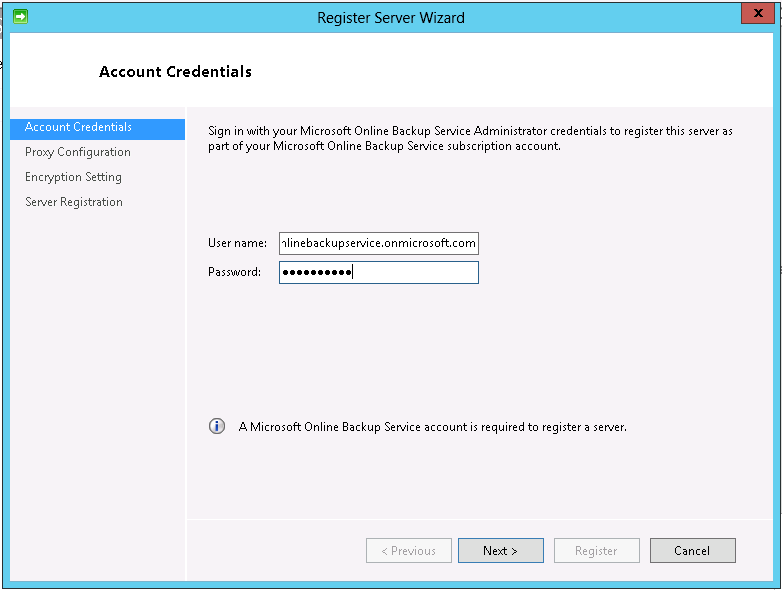 As per the previous articles, you are required to create an account, use that account in the account credentials configuration screen. For some of the organization, they might not allow a direct connection to the internet and they have enforce to use proxy. 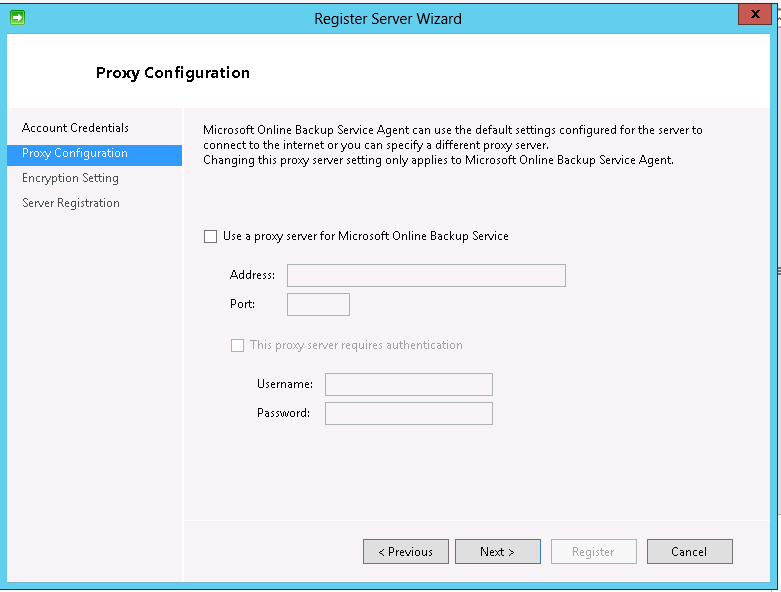 So if you does have a proxy in your company, you can fill up the information as below. First steps is to generate the passphrase and the information will be automatic generated. Next step is to click on the register server. 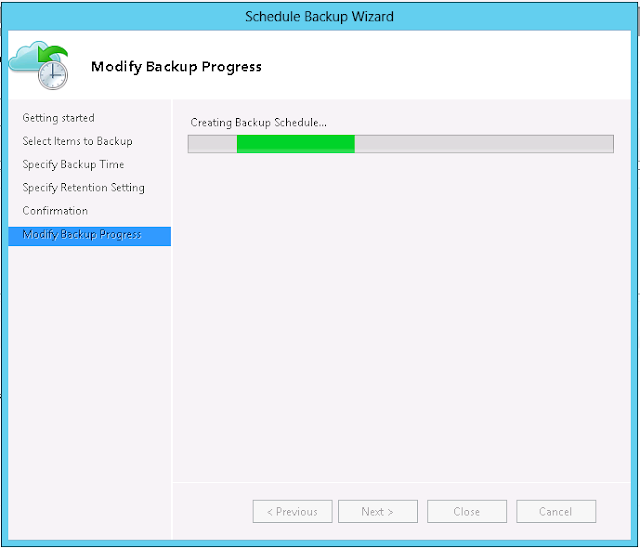 This will take a few minutes before it completed. Now are done with the server registration process, we can proceed to configure our backups. 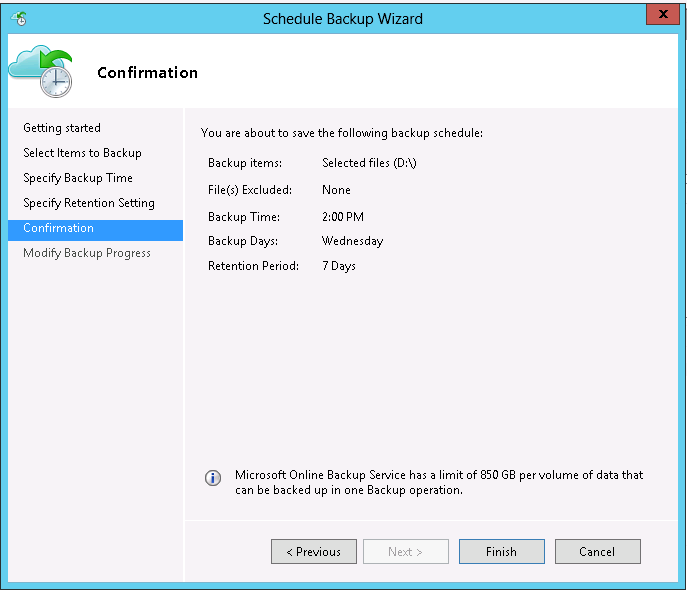 This is a quick look on the Microsoft online backup service admin console., from here you would need to configure the files that you need to perform backup. This would be the main interface for you to delete backup as well as perform restoration. 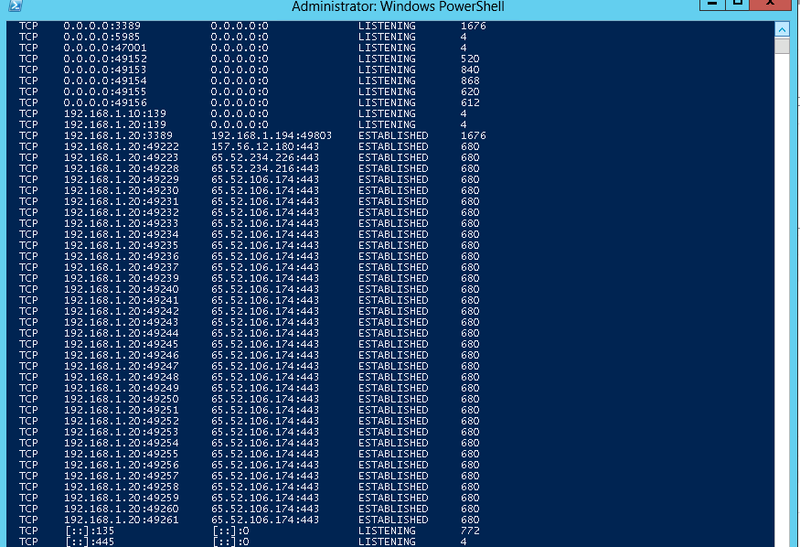 For the testing purpose, i have created a folder and dump some files into it. First thing you need to tell the backup server is what needs to be backup. 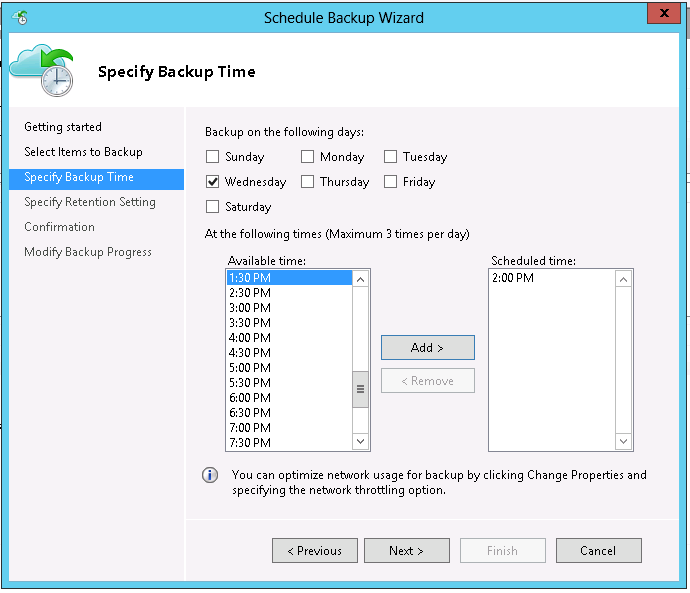 Click on the schedule backup and follow the wizard. 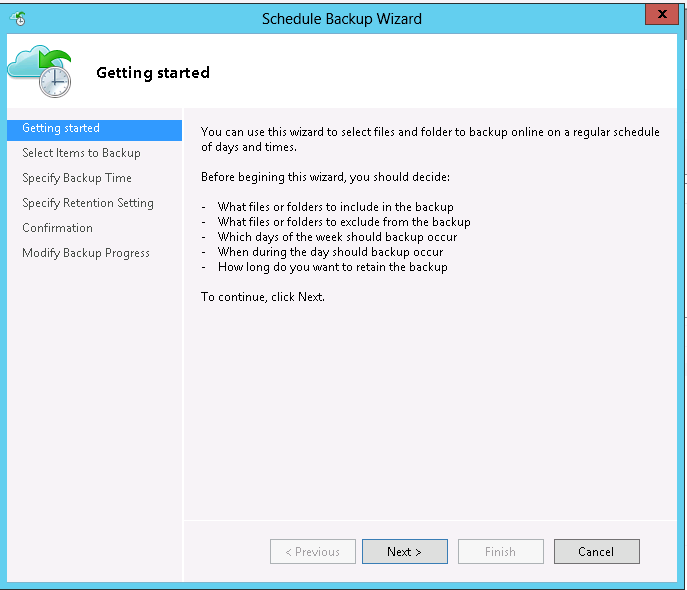 A general information about backup and click next to proceed. 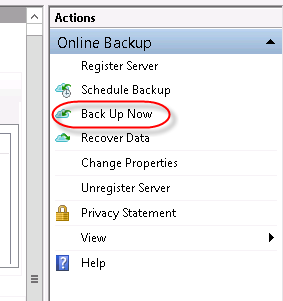 You need to click on the "add items" box and choose what needs to be backup and click next. 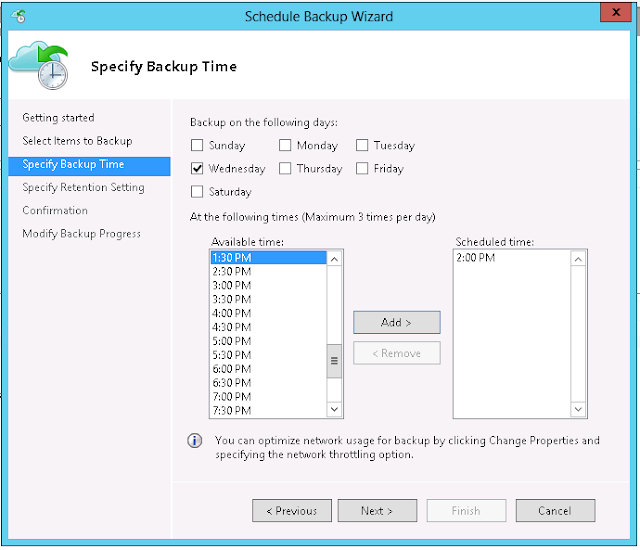 Specify when you need to perform a backup. 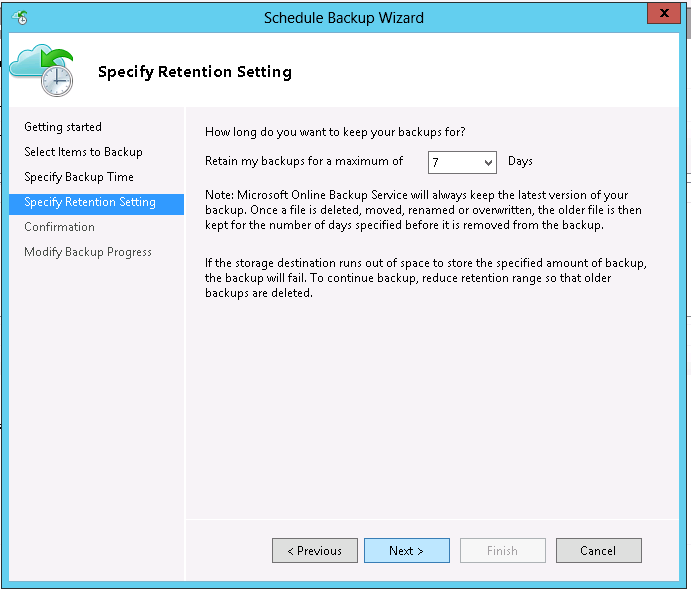 Specify the retention of the backup copies and click next. 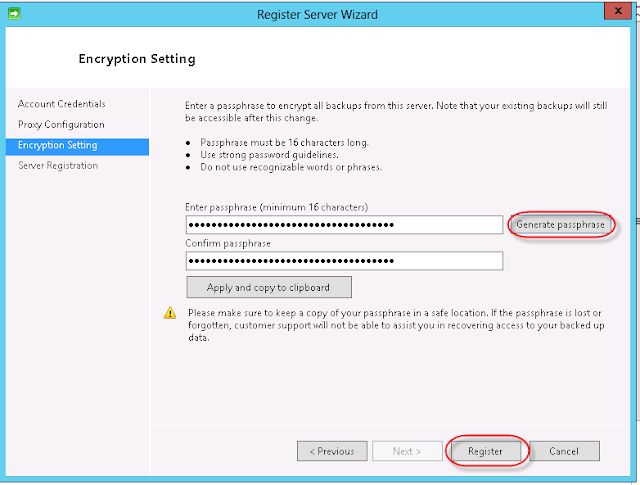 As what you have configure, validate the summary configuration whether this is what you are intended.If not click previous and start it over again. 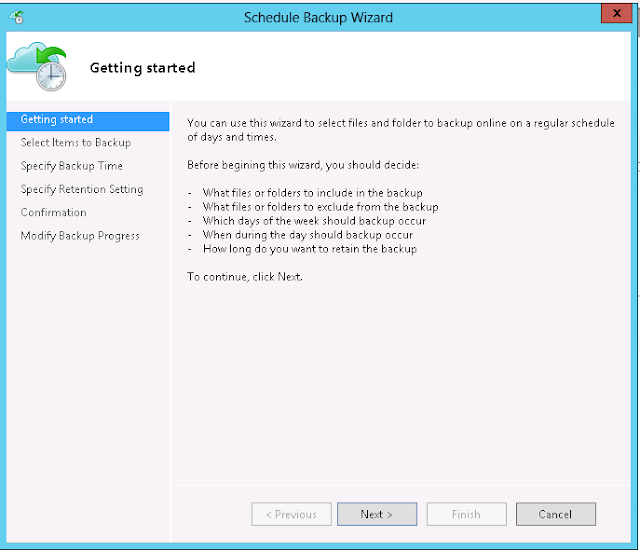 Once you are done, you can do a test backup by clicking backup now without waiting for the scheduler. Once it is running, you will see the above. Stated the job is running. 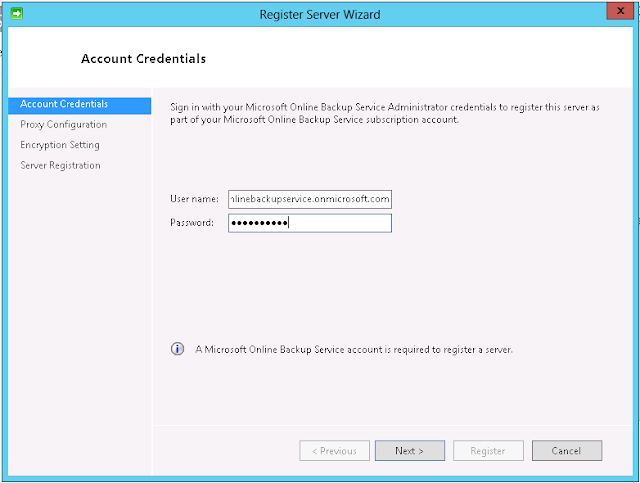 I also did check how many session are there during the backup, this is what I found and all are using https. Since now it is still in beta. they might have a lot of heavy user performing a test. I didn't manage to run the backup.As you can see on my screen, once I launch the backup, my internet connection have an intermittent state. So if you would like to test this out. Make sure you are testing this on the isolated network. 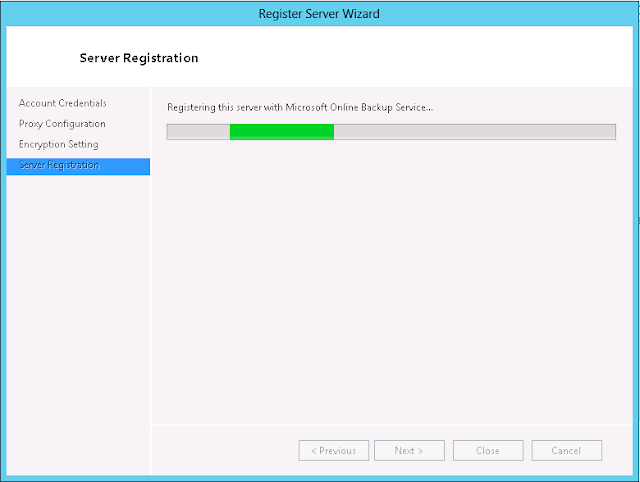 In the next articles, I will show you on how to perform restoration as well as deleting the data.Stay tune. 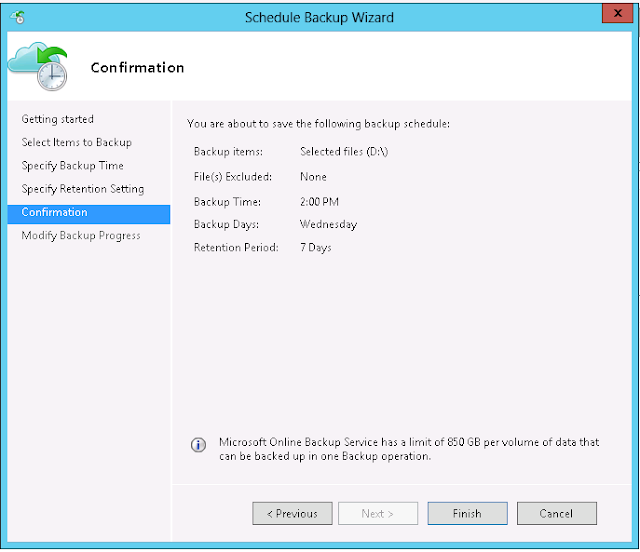 Online backup is essential for many businesses nowadays. 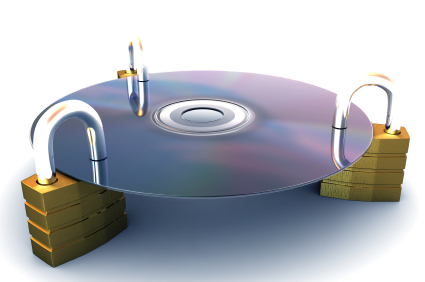 Companies that deal with a large quantity of information must do their backup almost daily in order to ensure that they do not put a lot of information at risk. 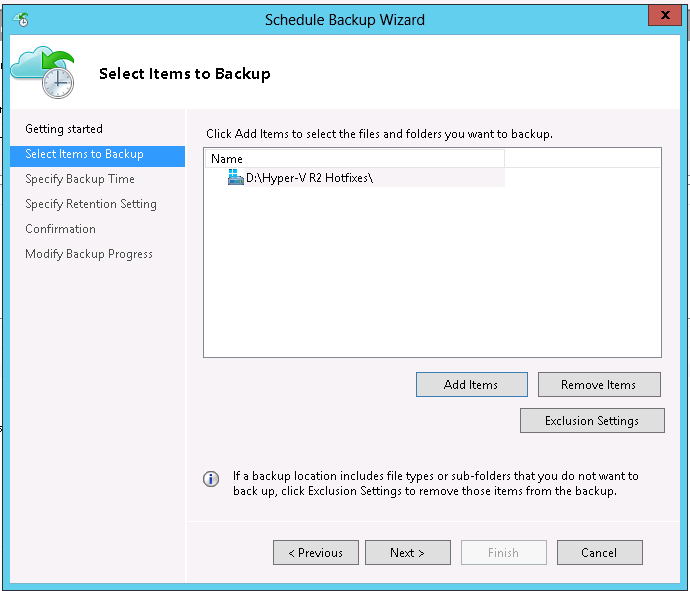 It is good when clients can choose how often they want their files backed up offsite and which of those files they want safeguarded. This is very informative post. The way you have share this information is really very thankful. Hope to see more on this topic here. Thanks for posting this information here. I always wondered how the IT Support Sheffield could handle all the hectic tasks related to networking, and data backup so efficiently, at my friend’s home based business office. Therefore, I suggested my business partner to hire them for our company, so that all the employees could work in a relaxed atmosphere.